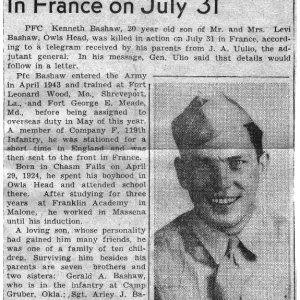 You are reading the record of honored service member Bashaw Kenneth E, coming from the state New York in the United States of America (according to my records his last home and/or enlistment state). 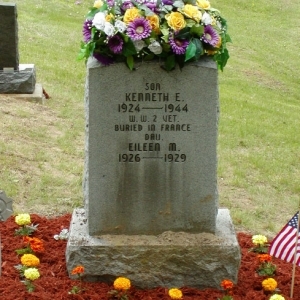 He served as Private First Class with military service number #32854860 in this unit - 119 Infantry Regiment 30 Division. 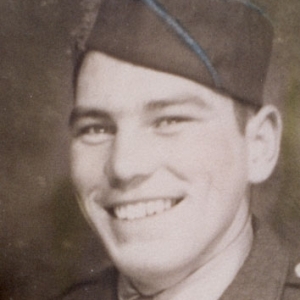 He gave his life for our freedom on Monday 08 August 1944. 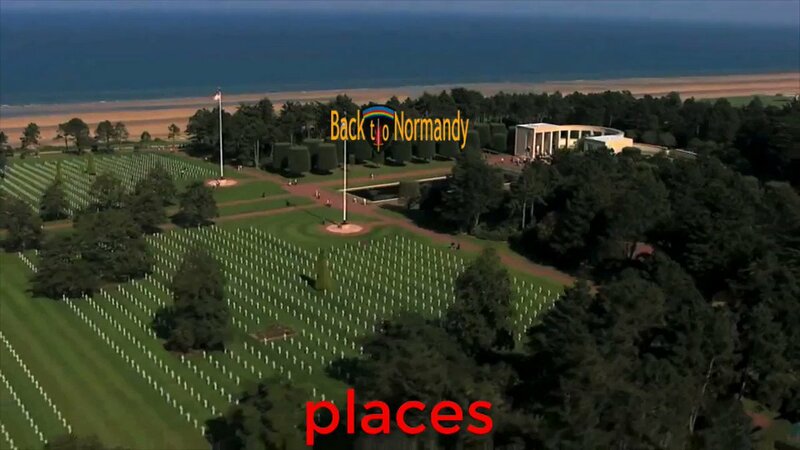 He is buried or memorialized on the American Cemetery and Memorial in Colleville-sur-Mer, Normandy, France. 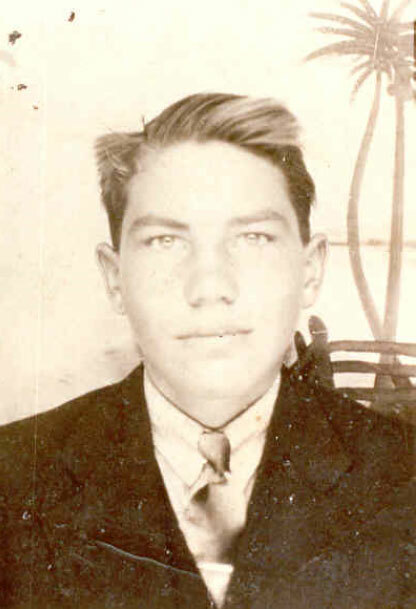 Chris Bashaw: He is 18 in his military picture and 17 in the other one. So young. 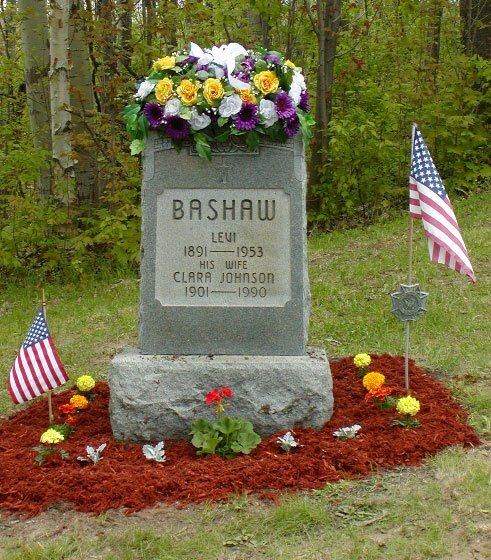 He was born in Owls Head, NY to Levi and Clara (Johnson) Bashaw. 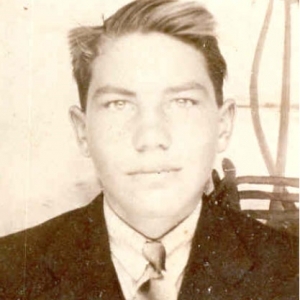 The third of 11 children. 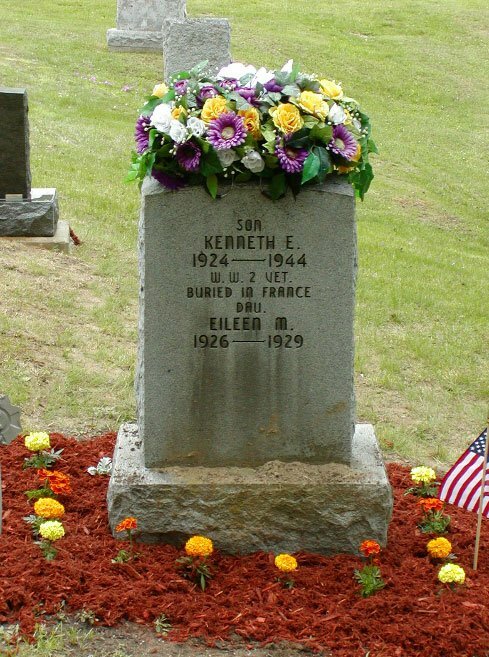 He had two brothers in the Army at the same time (Gerald and Arley Bashaw) and then a younger brother Vernon as well when he turned 18 a few months after Kenneth died. 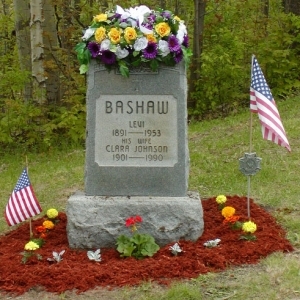 Would you like to help me commemorating Bashaw Kenneth E by adding your testimonial at the bottom of this record and/or sending a photo or more information so we can learn from his efforts and help other people in their search? I really like your website. 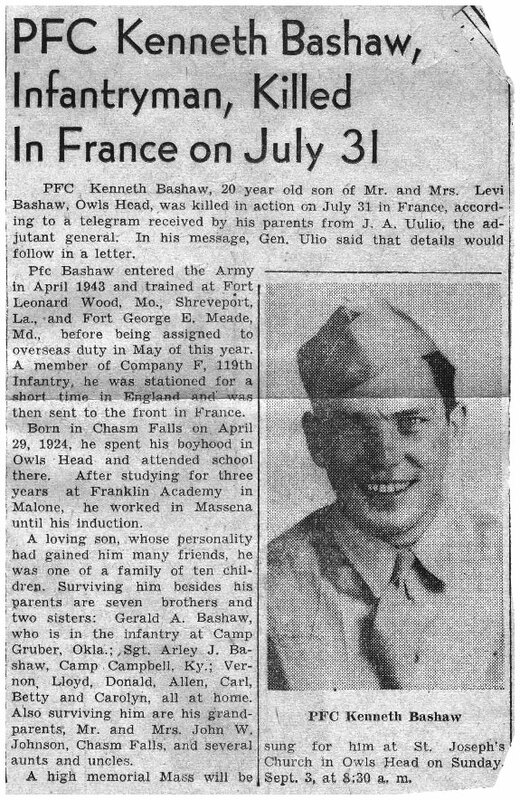 I am the nephew of Kenneth Bashaw. 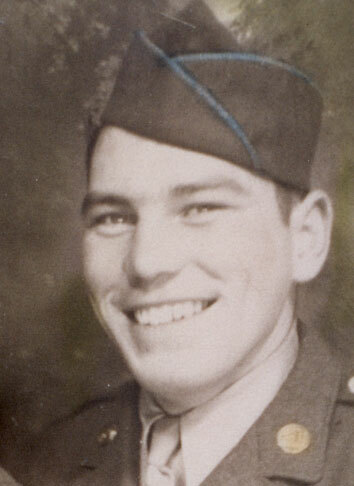 I have all his papers and medals and many photos. 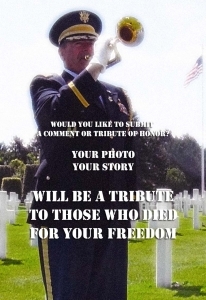 I thought it would be nice to add a photo to your site for him. I had trouble figuring out how to register, seems like only a login option. I thought to attach pictures here but it only accepts a url so I cant figure that out either. If you send me an email I would like to send you photos for your site.